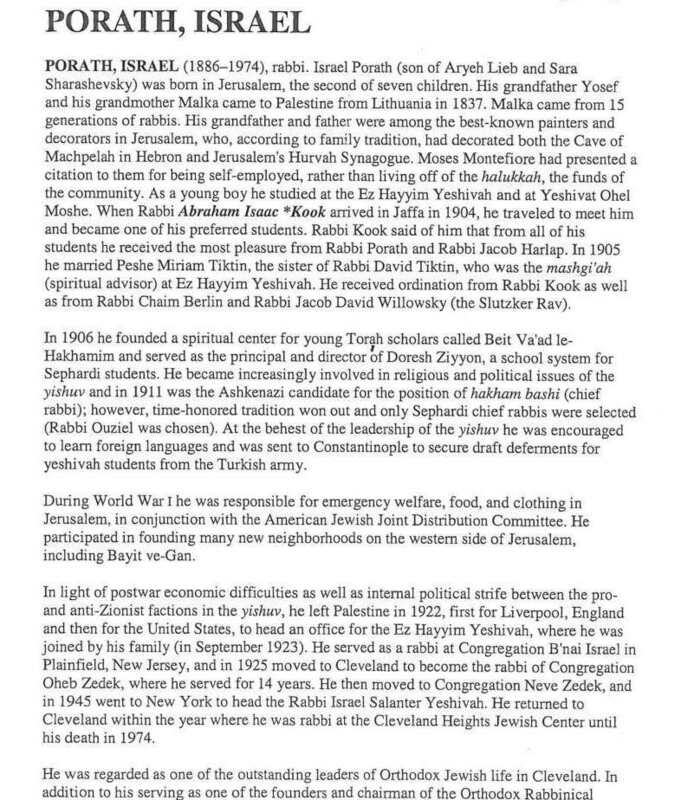 Rabbi Jonathan Porath has provided a current (2013) version of the final line above. 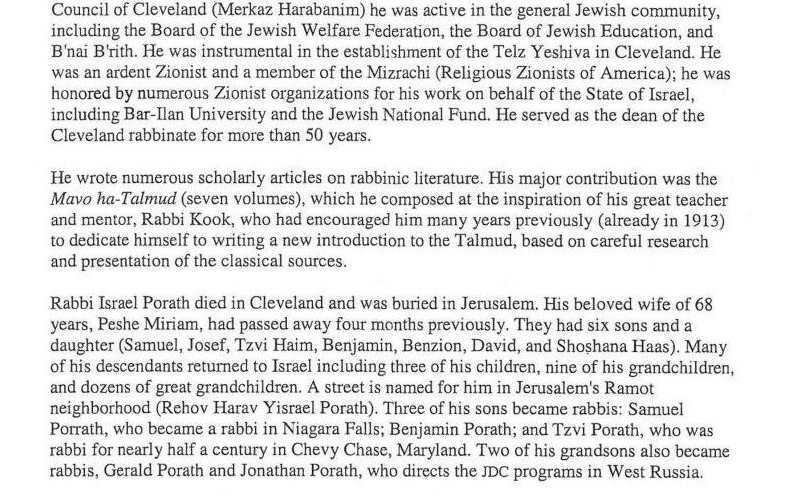 Three of Rabbi Porath's grandchildren became rabbis: Gerald Porath [son of David], Jonathan Porath [son of Tzvi] and Yocheved Mintz [daughter of Joseph]. 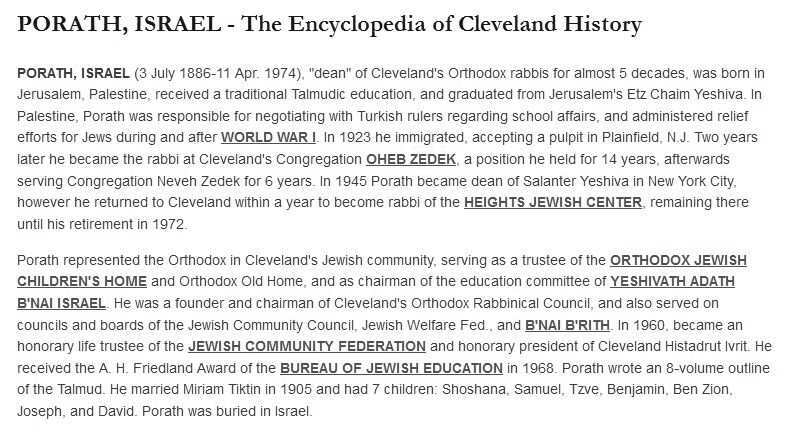 Many of his great grandchildren have also received rabbinical ordination. First published in book form, the Encyclopedia of Cleveland History is also online on a website maintained by the Western Reserve Historical Society and Case Western Reserve University. To visit the "live" version on the ECH website, where each underline is a link to another ECH entry, click here.